It always amazes us how promotional items find their way onto clients’ desks. Plants are becoming increasingly popular too, as staff aim to personalise their workspaces. This served as our inspiration to create the ultimate zero-maintenance desk companion providing a level of engagement never seen before. 500 followers and hundreds of thousands of engagement on twitter later and Desk Buddy™ by resource was sitting proudly on the desks of 500 clients and prospects. Desk Buddy™ by resource has been a demonstration of ideas generation, branding, design, print, data management and customer engagement. Its a campaign that’s reached iconic status and engagement levels show no sign of relenting 7 months later – something big brands pay big money for. 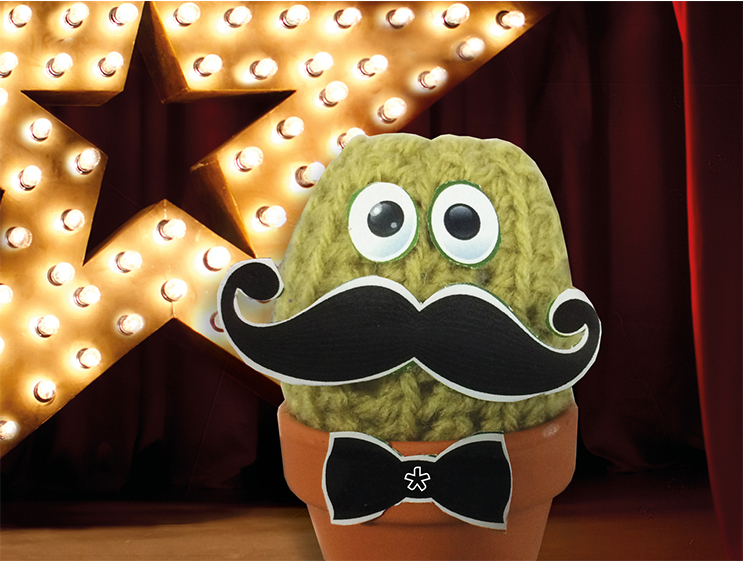 These were all things recognised by the judges at this year’s Print Design and Marketing Awards, as Desk Buddy™ continued his rise to fame by scooping the award for ‘Best Multi-Channel Campaign’ and the ‘Supreme Award’ (best in show). Best multi-channel marketing campaign, “This was truly fun, interactive campaign that combines print with really clever digital engagement”; Supreme Award, “The standout winner demonstrated print, design & marketing in a campaign that had interactive elements, combining social media that lasted throughout the year”. resource recognises the part that staff, clients, prospects and influencers have paid in the success of the little green friend. Asif Choudry Sales & Marketing Director, “Successful campaigns always start with a great idea and we knew early on that Lee Grasby and the creative team had nailed it. But we’ve all worked really hard to make Desk Buddy™ part of our everyday working lives at resource. We take him to meetings, presentations and awards and its this level of effort and engagement that is reciprocated by Desk Buddy™ followers who’ve really taken him to their hearts. Thank you to everyone for making him a huge success and watch this space, as Desk Buddy is very much here to stay”.